Greased Lightening features easy construction techniques and full size templates are included. 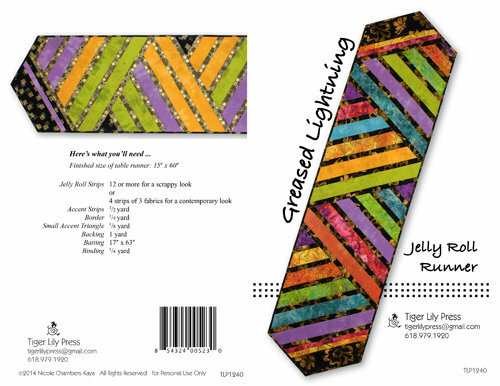 Particularly suited for jelly roll strips. Fully illustrated with step by step photos & illustrations including binding instructions. 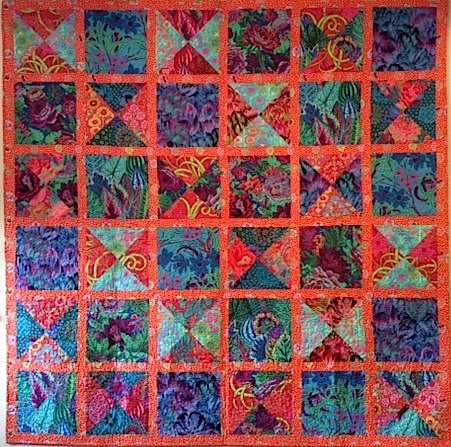 Table Runner Size 15″ x 60.” Pattern included in kit.